Rockwell Collins will provide display systems for two international F-16 training program customers. 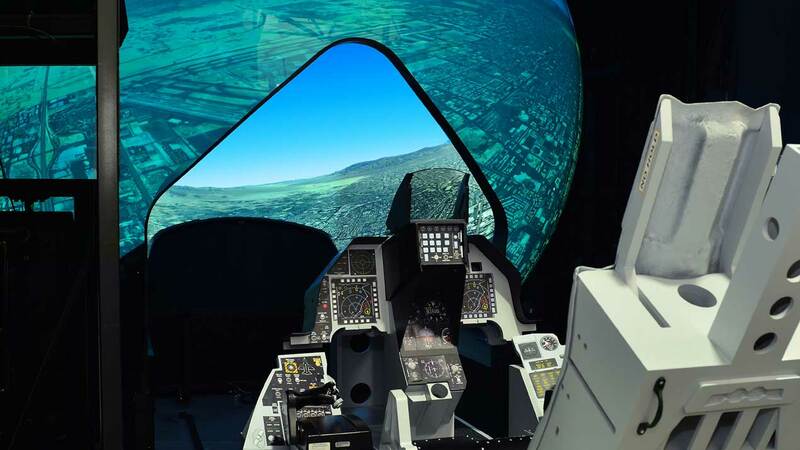 The solutions include customized configurations of Rockwell Collins’ Griffin rear-projection dome—the foundation for the Full Mission Simulator (FMS) Lockheed Martin uses to train pilots on the F-35—and SpectraView front-projection display systems. The 360-degree Griffin rear-projection dome configuration will include an expanded ingress and egress system to accommodate the larger cockpit of an F-16 and leverages projector capabilities for enhanced night vision goggle (NVG) usage, offering a heightened sense of realism in night-time training operations. 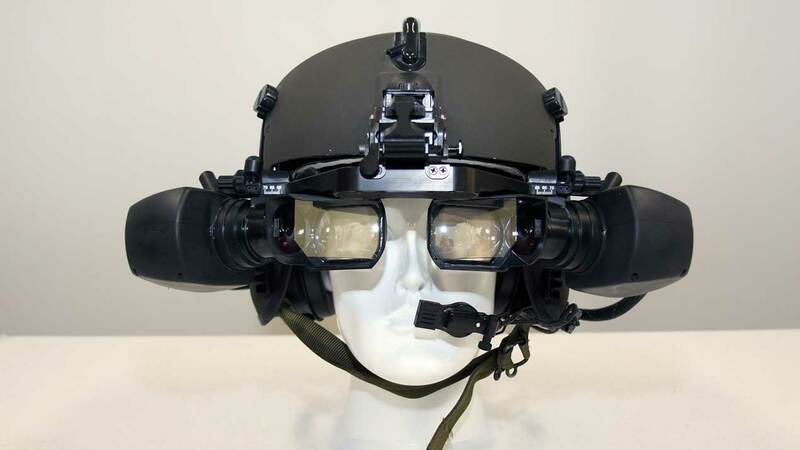 Rockwell Collins says the tailored, front projection SpectraView solution will be the first of its kind to incorporate full NVG functionality while boasting a wide field of view, wrapping 300 degrees around the user, 120 degrees above and 40 degrees below. The system also uses industry commercial off-the-shelf projectors. In other training and simulation news, the US Army has selected a new version of Rockwell Collins’ SimEye Helmet Mounted Display (HMD) to be used within Aviation Combined Arms Tactical Trainer (AVCATT) systems. A total of 332 HMDs will be upgraded by October 2019. The contract, issued by the US Army Program Executive Office for Simulation, Training, and Instrumentation (PEO STRI), will improve HMD optical performance, increase availability and provide substantial life cycle cost savings due to lower maintenance requirements. “This next-generation solution will provide the Army with the highest fidelity simulation available and at a lower cost to maintain,” said Nick Gibbs, vice president and general manager, Simulation and Training Solutions at Rockwell Collins. The SimEye HMD will be refined to include display and optical improvements to visual symbology, providing a boost to the already unprecedented level of realism. Rockwell Collins has also been selected to supply the next generation of forward observer training for the Australian Defence Forces. It will install eight customised domes and 11 desktop-trainer simulation solutions for the Australian Army and Air Force Joint Terminal Attack Controllers (JTAC) and Joint Forward Observers (JFO). The key benefits of the Rockwell Collins’ solution include the ability to conduct JTAC and JFO missions within a highly immersive environment coupled with form, fit and function military equipment that provide real-time tracking and evaluation of trainees by instructors. The technologies will be installed in seven locations across Australia over the next 24 months.